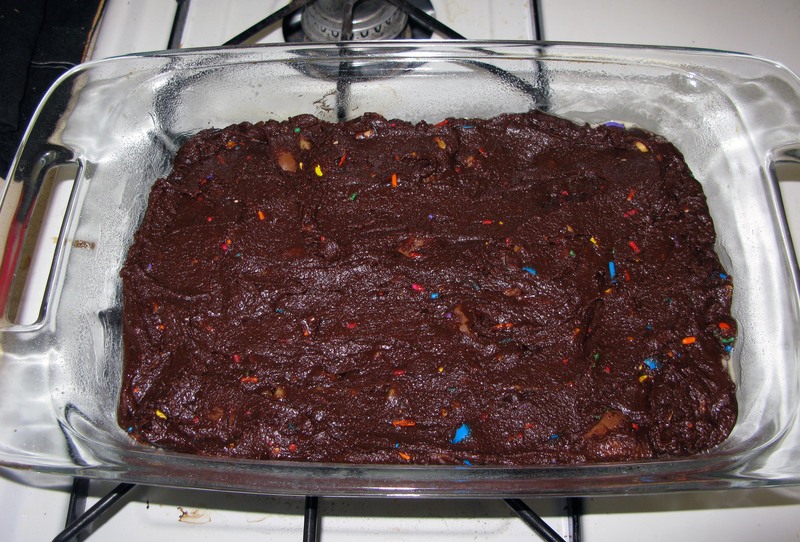 Garbage Brownies | I Wanna Bake! Garbage brownies were so-named by Josh the first time I made them (that incarnation included chocolate chips, a crushed Butterfinger bar, and whatever else I could find). I know, I know, the name doesn’t make these brownies sound very appealing. However, I’ve found garbage brownies to be the most delicious way to use up the ends of bags of candy, or that stray Cadbury egg that’s been sitting around, or those nuts you bought for a particular recipe but don’t normally use. 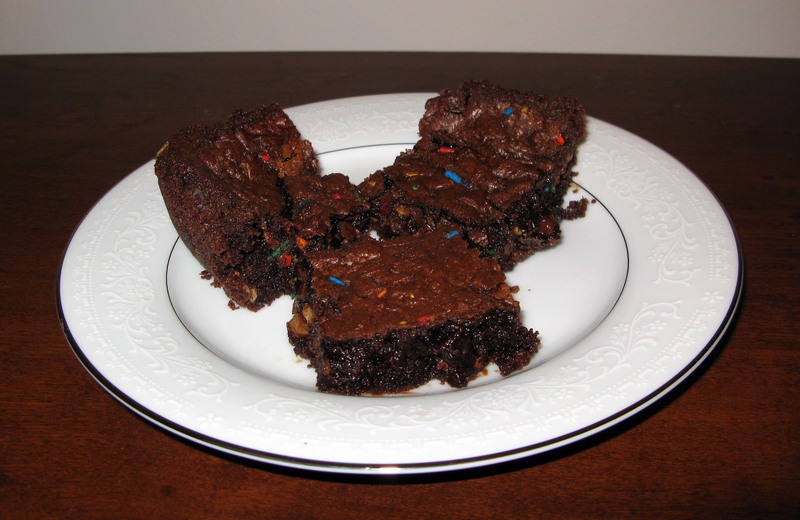 In general, I find that chocolate- and nut-based candies are the best mix-ins for these brownies, in part because the flavors make sense together, but also because they melt properly and don’t burn or leave weird sink holes in the finished brownies. The candies pictured in the ingredients photo are just suggestions. In the end, I used a combination of Reese’s mini peanut butter cups, chopped peanut M&Ms, mini chocolate chips, chopped walnuts, rainbow sprinkles, and a broken Cadbury egg. 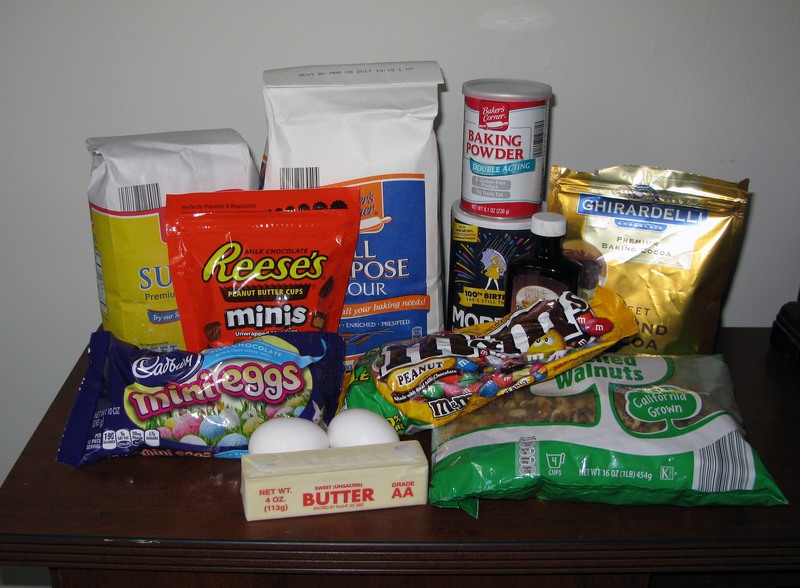 If you want to clean out your candy in one last hurrah of calories, here’s your recipe! This time, I used Ghirardelli’s Award Winning Brownie recipe (from the back of the cocoa powder package) and swapped in my Frankenmix of candy for the nuts and chocolate chips. 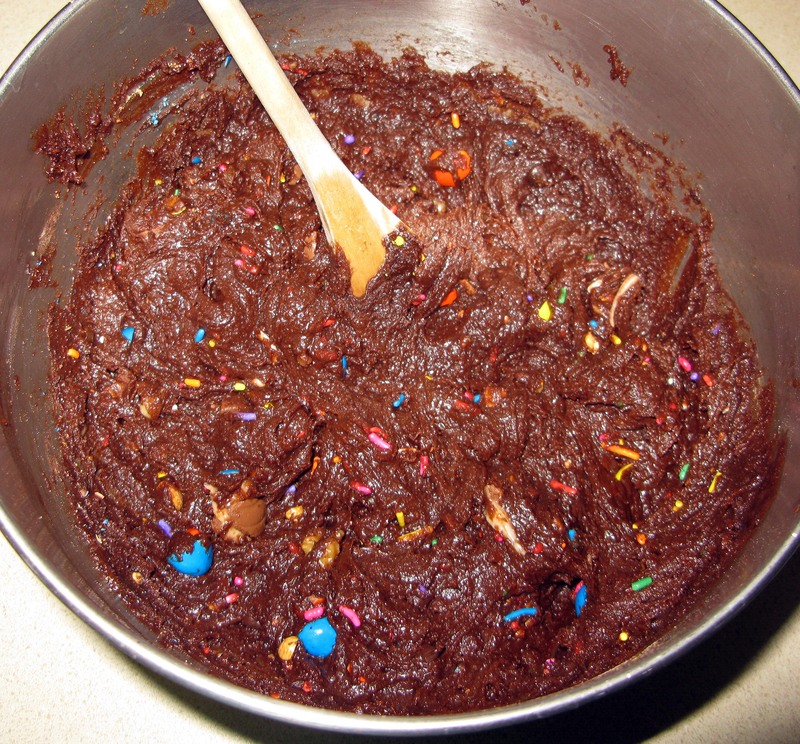 Normally, however, I tend to used boxed brownie mix because I am supremely lazy. You can really do this with any recipe you prefer. If you have a favorite, please share it with me! Since it’s too obvious not to suggest, I went with Garbage for this week’s musical selection. Garbage for music, garbage for dessert, yea garbage! Preheat your oven to 350°F. Line the bottom of a 9″ square or 11″x7″ rectangular baking dish (for thicker brownies) with parchment paper or grease the dish. 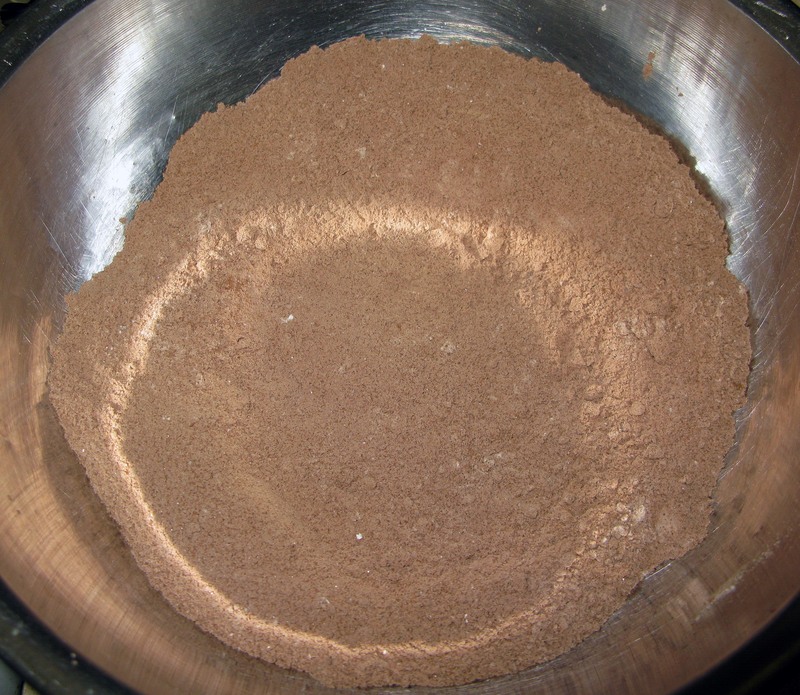 In a medium bowl, whisk together the flour, cocoa powder, baking powder, and salt until the ingredients are uniformly combined and there are no large lumps remaining. Set aside. 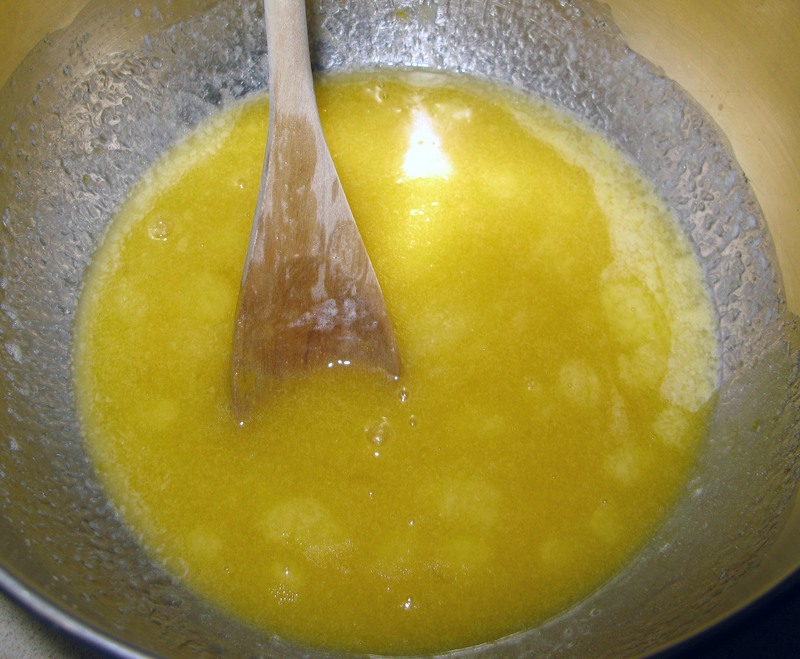 In a separate bowl, stir together the eggs, sugar, and vanilla extract until smooth. 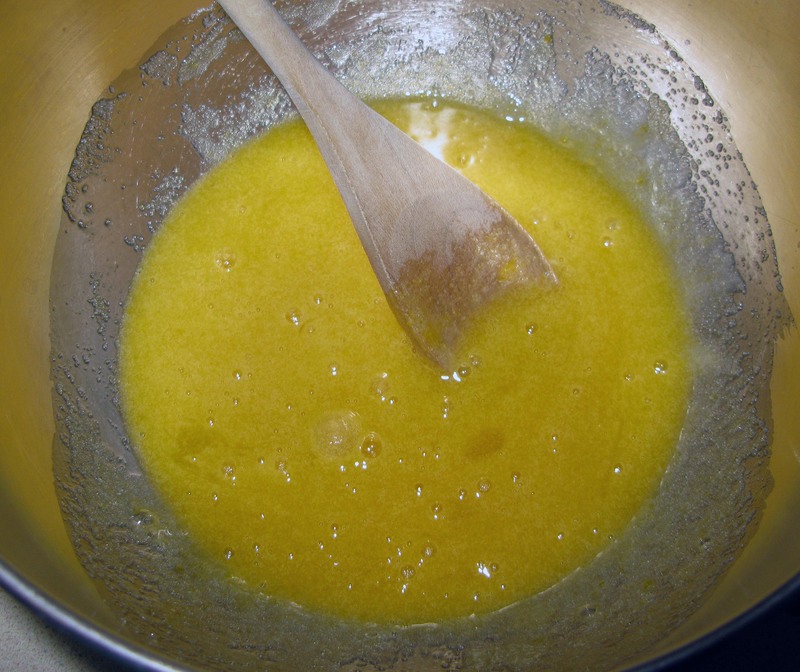 Stir in the butter until it is fully-incorporated. My butter didn’t want to combine, so it took some doing, but you should be able to get it mostly there. Now, stir the dry ingredients in just until they are fully moistened. Fold in the candy until it is evenly distributed. Spread the batter in the prepared baking dish. Shake the pan and spread it with a spatula as needed to evenly distribute it. 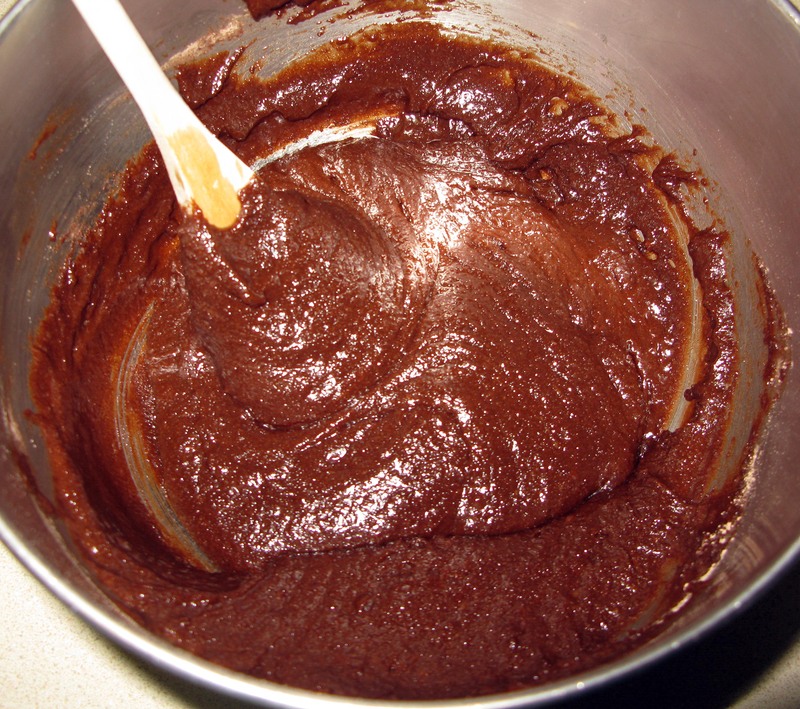 Bake the brownies for 20-30 minutes, or until a toothpick inserted into the center comes out clean. I like my brownies to be the consistency of magma with a crust on top, so I tend to take them out just a little before the toothpick comes out clean. If you prefer more solid brownies, leave them in a little longer. 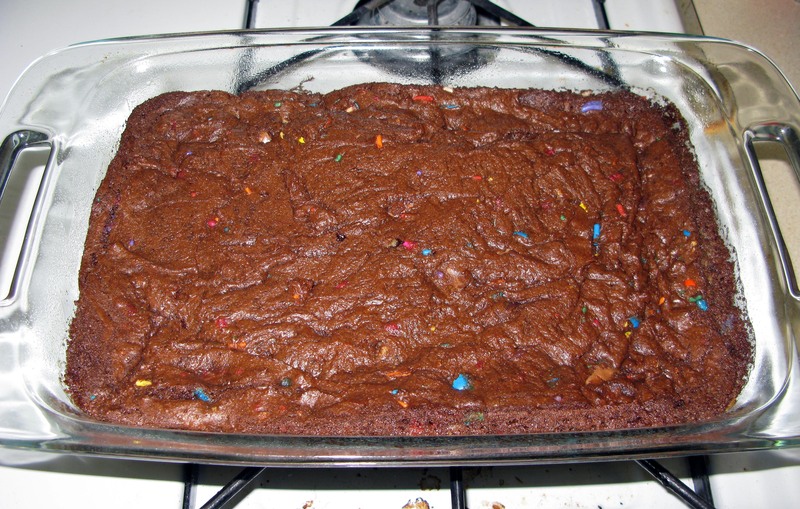 Leave the brownies to cool as long as you can, preferably until completely cool. I know this is a nearly impossible task (seriously, who can resist fresh brownies just sitting on the counter, taunting them? ), but they will cut better when they are cooler. When you can’t wait anymore, slice the brownies and serve.